In the world of internet marketing, promotion is vital and knowing how to build backlinks for brand new website will hold you in good stead. This is one of the more important promo methods that can drastically increase your rankings in the search engines. That, in turn, means more money for you, so it’s worth taking the time to master this. In this article, you will find several methods that can help you gain backlinks without problems. These take a little time; you can usually complete a task in just a few minutes each day. Work steadily or outsource the jobs to see the best results. One of the more popular methods of getting backlinks is through article marketing. You write an article on your topic, include a bio box that has a link or two in it and then submits the whole thing to article directories. You will get a link from the list, and while that helps, the real value lies in other people publishing your works and giving you even more links. Write well, and this can happen quite a bit. Blogs can also be useful. Try guest posting for someone else. This can gain you a lot of traffic, but it is also a good boost for ranking. Guest posting has to be done with care. Avoid guest posting on websites that are not in the same niche with your website. Google can possibly penalize you for spammy if you guest post on websites that are not in the same or similar niche to your site. Make sure your guest posting provide useful and helpful information to other readers on the website. Commenting on other blogs that are relevant to your topics can also help since they can catch people’s attention. Writing your blog is also a good idea. Make sure you provide great content that is worth linking to! Even though Google recommended word count is minimum of 300 words. It is advisable to increase count to a minimum of 750 words. An article with a words count of 750 words with pictures or videos will attract other bloggers or website owners to link to you. No one will want to link to a blog that consist of very limited words. In summary, your article has to be indepth, and provide helpful and great information to readers. Social media is a growing area of self-promotion, too. Using Facebook and Twitter to promote not only your links but great stuff from other people will also win you backlinks. Everything helps, so with each one, you will end up with higher rankings and better traffic. Social media websites like Facebook, Twitter, Pinterest, Instagram, and many more have high reputation and ranking in the search engine. If you promote yourself via these media sites, you are more likely to get a quicker boost in search engine ranking from the link juices that your website gets from these media sites. 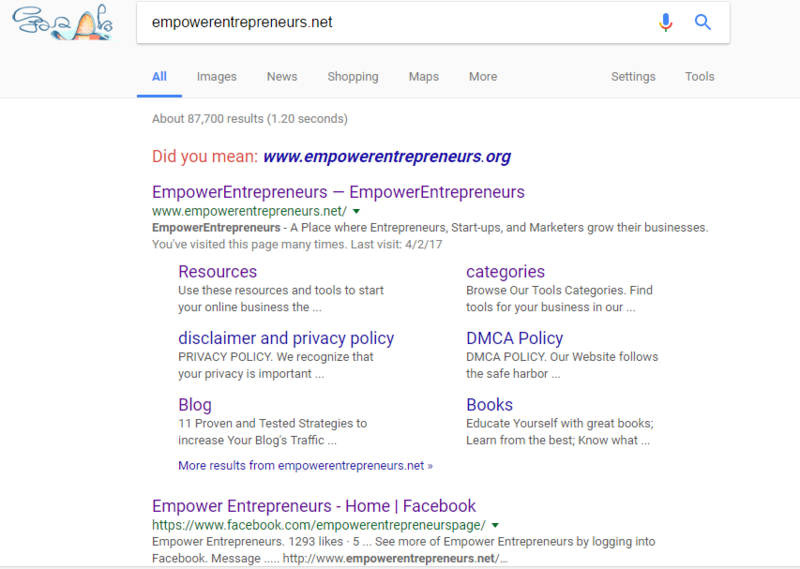 When i conducted a Google search on this website “empowerentrepreneurs.net” the 2nd top search result in Google search is the Facebook page created specifically for EmpowerEntrepreneurs.net. My point is, promoting this website in Social media website like Facebook gave this site a quicker boost in the search engine. Try bookmarking, too. Social bookmarking allows you to share websites and interesting blog posts with the world. Others, in turn, will share them, too. Some links can be your own, but the majority should focus on other things from other people. This will help build your reputation, and people will pay more attention to what you have to offer. Keep in mind that they have to be used more than just once. A regular stream of links is going to help you more than just a few every once in a while. Now that you know how to build backlinks, it’s time to get busy. When I first started out in internet marketing, I scoured the forums, blogs, and websites of all the SEO professionals, attempting to figure out the exact method and steps to follow. It took me months to realize the truth: there is no one right method. It’s all guesswork and theories. No internet marketer truly knows how the search engine algorithms work. And most people who post on internet forums are only echoing what they have heard or read in the latest eBook craze as opposed to having their opinions. What I am talking about is what I have learned from direct action. So what does this mean for link building? It simply means that you should just go out and do it. Don’t worry about the fine details. Join relevant forums to your niche and tell people about your site in a constructive way. Comment on relevant blogs, and exchange links with relevant websites. Do you notice I am using the word ‘relevant’ a lot? Think about it logically, will Google really reward people for spamming? I highly doubt it, which is why I see no value in placing your links in places that have nothing to do with your niche. 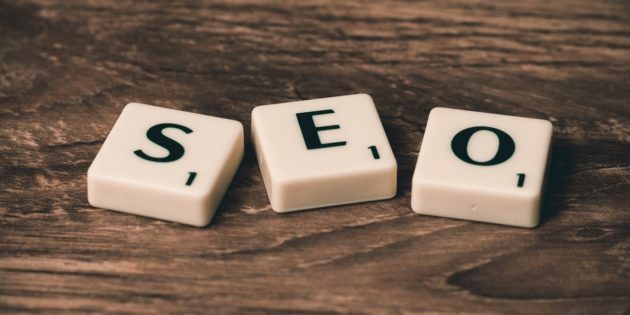 I have often seen pages rank at number 1 in Google with only a handful of quality backlinks, whilst sites with thousands of spammy links languish at the bottom of the page. 1 quality relevant link is worth far more than a multitude of pointless ones. Don’t waste your time building worthless links, time is money. So what links have more value? Directory submissions? Blog comments? Articles? Once again nobody knows the exact value a link has, there are many different factors to consider. You should build links everywhere that you see as constructive. The worst thing you can do is to endlessly read forums and blogs about how to build backlinks. In fact, why are you reading this article now? Just go out there and take relevant action! – WayBackMachine: Capture over 286 billion website pages with this tool.